Being a Maltese owner is a rewarding experience. 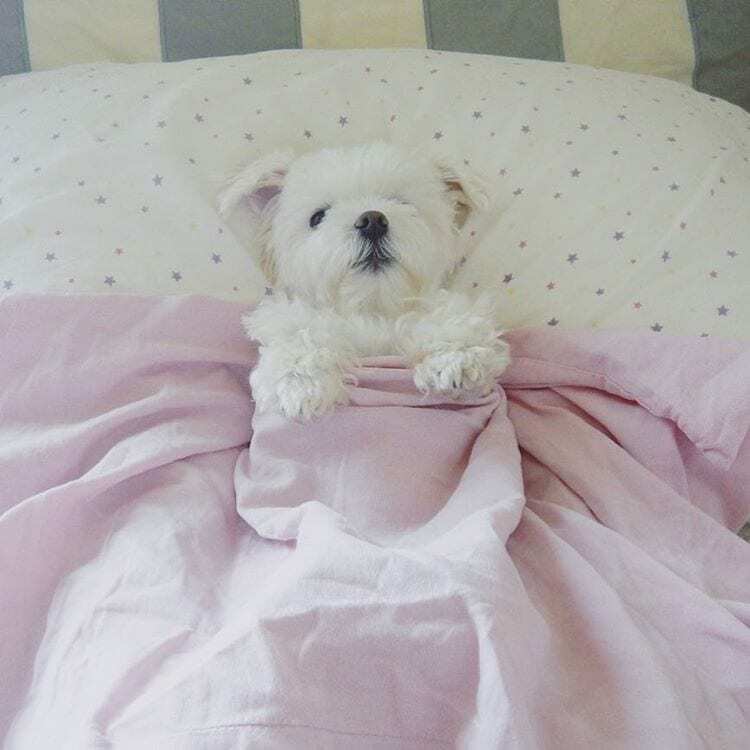 Beyond the sheer cuteness of owning a Maltese, you not only have a lovable companion, but also a deep understanding of the breed and what they need. If you know someone with a Maltese, prepare yourself by knowing these things you should never say to a Maltese owner — ever. There’s never not a prime time for a photo op when you have a Maltese. Sure they’re white as snow, but you won’t lose them in it. P.S. They LOVE IT. A lot–that beautiful mane needs to be kept in check. Not really. During a bath they magically transform into a Chihuahua. You can and you should. Simply pack them in a cute bag, and go, go go! Clearly wrong—-they all have drink preferences. You’re right, it’s much better 🙂 Make sure to brush their teeth before bedtime. Not true. These beauties love to play and run like cheetahs. In fact, they look better because their hair flows and bounces when they run. Why yes, a teacup Maltese pup can! Maltese’s speak to you with their eyes, and they’re saying they love you! Ooooh yes they can. And they look cute doing it. Wrong. Yes, they are! Look at this pupper in the eyes and say it’s not cute. We dare you.